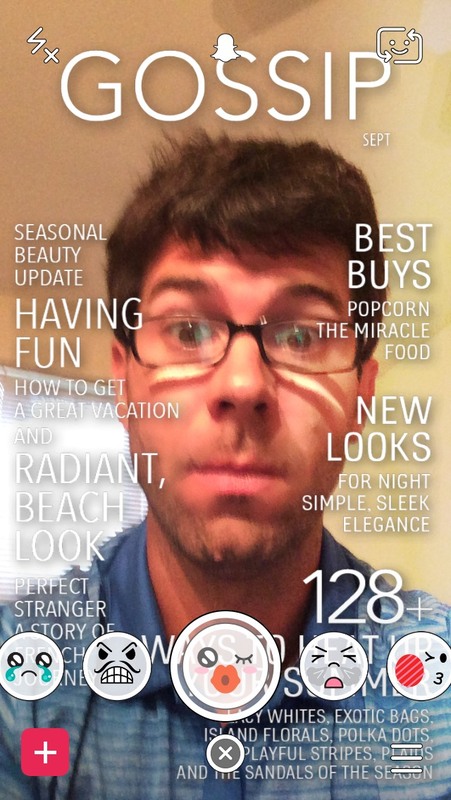 Home › Snapchat Selfie Filters › How Do I Get the Snapchat Gossip Magazine Selfie Filter? How Do I Get the Snapchat Gossip Magazine Selfie Filter? To see all the Snapchat Selfie Filters go here. I apologize for not having the sound on the YouTube video. When I converted the video from my iPhone to my MacBook I had the audio set on the MacBook. If you are really interested in the sounds let me know in the comments below and I may be able to upload another video in the near future. What did you think about this Snapchat selfie filter? Is this one you used? Did you see your friends using it? How Do I Get the Snapchat Tears Selfie Filter? | How Do I Get the Snapchat Bull Snorting Smoke Selfie Filter?